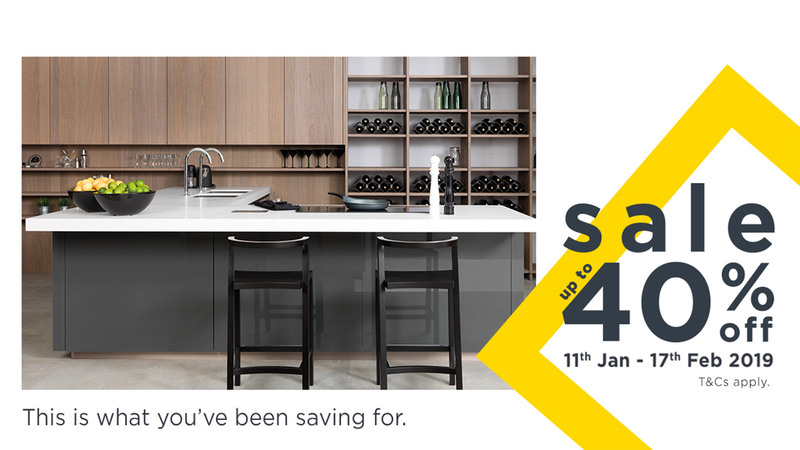 SALE up to 40% off! 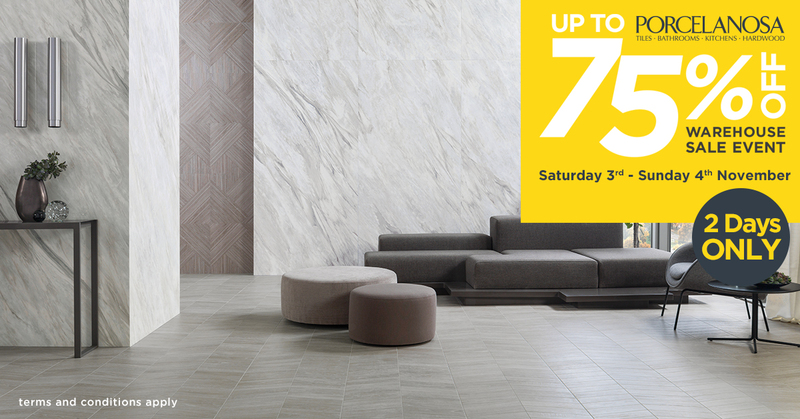 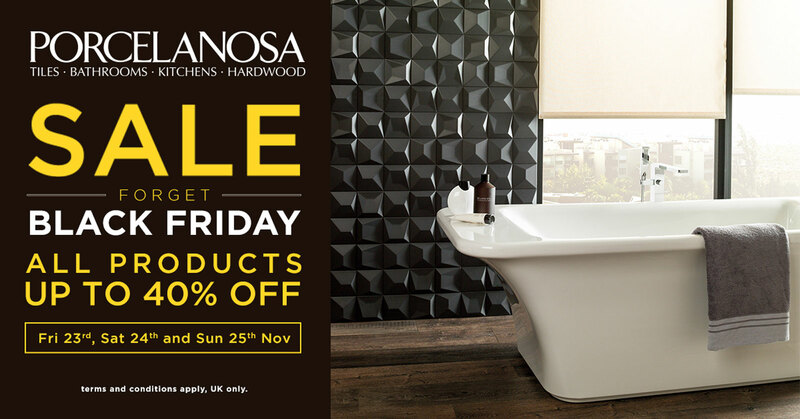 | 11th January to 17th February Visit our showrooms of PORCELANOSA or shop online Get a chance to update your home! 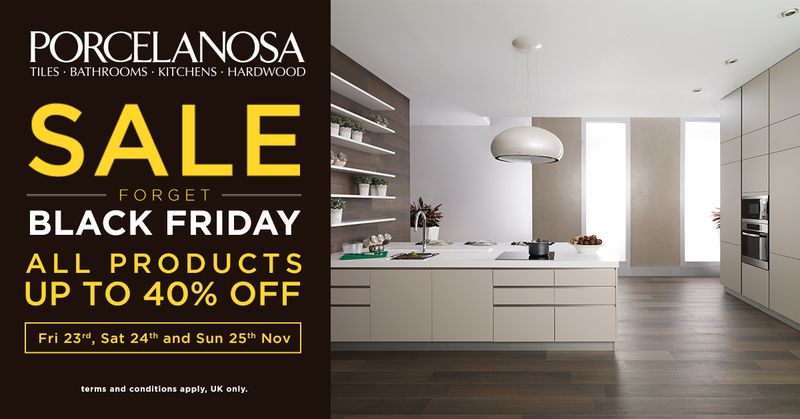 Kitchens | Bathroom design | Floor Tiles | Wall Tiles | Natural Stone | Hardwood | Solid Surface * Terms and conditions apply UK only.